For Uniting Church Ministers, the calling to ministry is not without its share of stress and burnout and it’s not uncommon for them to encounter challenges along the way when it comes to their mental health. 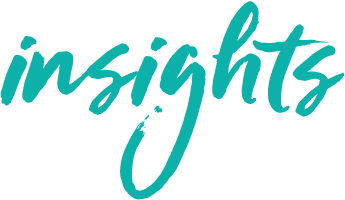 Insights spoke to some ministers about their mental health, some of the common pitfalls, and what congregations can do to support them. Rev. Neil Ericksson is a retired Uniting Church Minister of the Word, who has lived for a few years with depression and anxiety. “I was diagnosed with Depression and Anxiety in 2007 because I realised that some of my behaviours were out of character,” he recalled. Rev. Ericksson told Insights that the way that congregations view their ministers can often have an effect. “There is still a fairly widely held view (almost never stated) that the Minister is some kind of “Super Person” when it comes to their own thoughts, feelings, emotions, [and] drives,” he said. 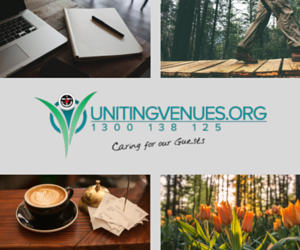 The work that Uniting Church ministers do is multifaceted and often times hectic. At times it’s highly stressful. Another Uniting Church minister previously shared with Insights her experience of burnout. “I have been burnt out twice definitely and possibly a third,” she recalled. Another aspect of ministry that can prove to be stressful is a subtle sexism that some Uniting Church ministers have been exposed to during their ministries. The late Rev. Peter Pereira’s research into clergy stress and burnout focused on female clergy. Entitled Still Pioneers, Rev. Pereira’s Masters’ Thesis found that sexism was something that Uniting Church ministers had to contend with and that this stress took its toll on their mental health. Alarmingly, studies show female clergy may be more susceptible to burnout, due to the added dimension of discrimination and the greater responsibility that is often taken by women for the juggling of the work-home interface. How Can We Help Our Ministers? Rev Ericksson told Insights that congregations can make a difference in their minister’s mental health outlook. For example, he recalled a time when he was recovering from surgery, and found his congregation to be highly supportive. “I had knee surgery and I was on crutches for several weeks following,” he said. He listed a number of questions that congregations can ask themselves. Rachel Moreland is a blogger who writes about the intersection between mental health and faith. In “When God Won’t Take Away Your Anxiety” she writes about her experience of living with General Anxiety Disorder (GAD) and how being a Christian has helped. Rachel says she avoids “cookie cutter” sayings suggesting that her faith has taken away her anxiety. Rather than being ‘healed’ she suggests that her faith has contributed to her having better coping strategies. “I have no shame in admitting to you that my prayers didn’t result in the end of my disorder,” Rachel writes. The Synod of NSW and the ACT works with the well-being service provider, Benestar. 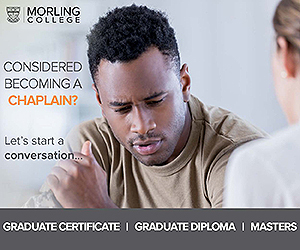 Services include in-person, over-the-phone, and online counselling. For more information visit Benestar’s website.